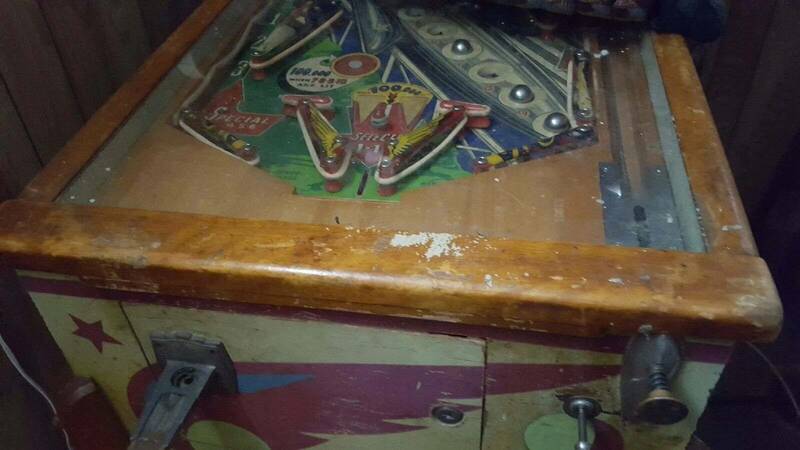 » Forum » Electro-Mechanical » EM Pinball Hangout » 1950 Genco Mercury - what's it worth? » 1950 Genco Mercury - what's it worth? 1950 Genco Mercury - what's it worth? A friend of mine, her dad has a 1950 Genco Mercury. 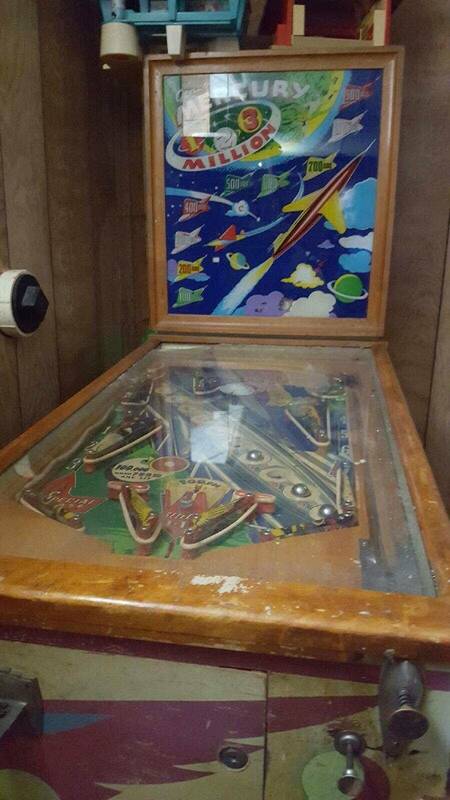 It has sat unplayed for decades in her dads basement. I have not seen the machine in person just the pictures shown below. They would like me to tell them what it's worth. I know it would need a full shop job for sure. Can you guys give me some idea of what it would be worth if they decide to sell it? Any help would be much appreciated. It's pretty rough, missing paint on backglass etc. Taking a guess at $300 - 400 max? 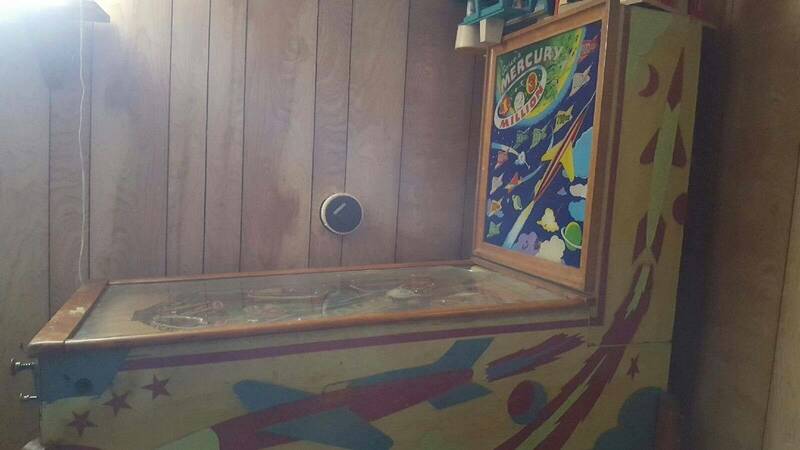 Mercury, Genco,600 made.Mint con,$575.00. working with help,$400.,class 3,$200.00 - 2017 price guide!! Numbers are all correct, only worth more working, "restored", and retailed to a Space Collector, decorator, or sold near say a Space Center in a Tourist antique shop. A fellow Pinsider in PA had a very nice one, but recently moved it along. I was hoping to have gotten down there to see it and play it, but alas, it's gone. He doesn't know this, but I was planning to bring a wad of cash with me just in case I had to have it! I got my Genco Cadillac in a similar situation. The previous owners main concern was that it be brought back to life and go to a good home. I promised to do so, he was very happy with the result and I've got a really great addition to the collection. These old Gencos are very cool and fun to play in their own special way. It's hard to tell from the pictures, but it looks pretty complete. The plastics seem to be there, etc. 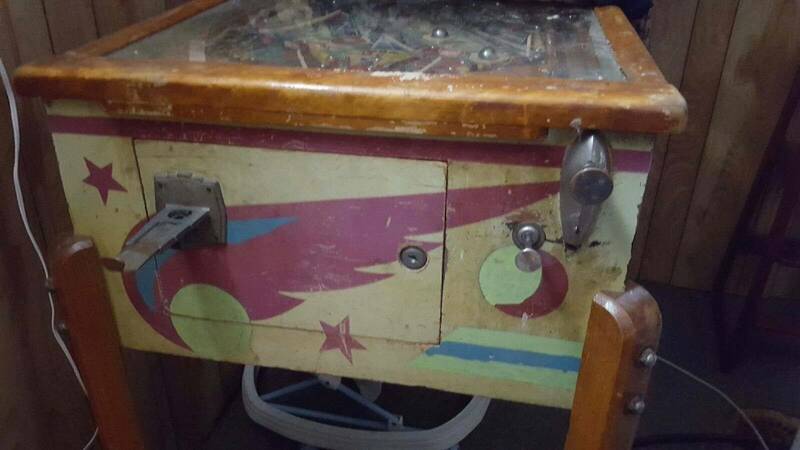 It'll need a new playfield glass, rectifier, rings etc. I'd offer him $200, promise to bring it back to life and see what happens. Thanks guys for the help, I will pass the information along to my friend. I'm not personally interested in this machine, just not into wood rails. I'm just trying to help out. I don't know if they will end up selling it or just keeping it in the family.